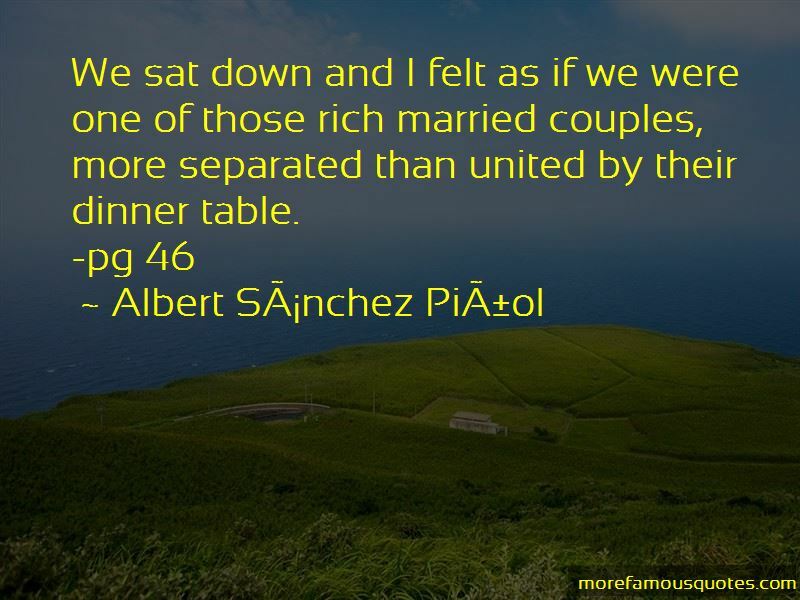 Enjoy the top 9 famous quotes, sayings and quotations by Albert Sanchez Pinol. “Love is very difficult to understand. And do you know why? Because love is the most idiotic thing in the universe, Tommy, but also the most important. Thats why its so hard to understand. “Yes, I felt very small. The typewriter seemed larger than a piano, I was less than a molecule. What could I do? I drank more. 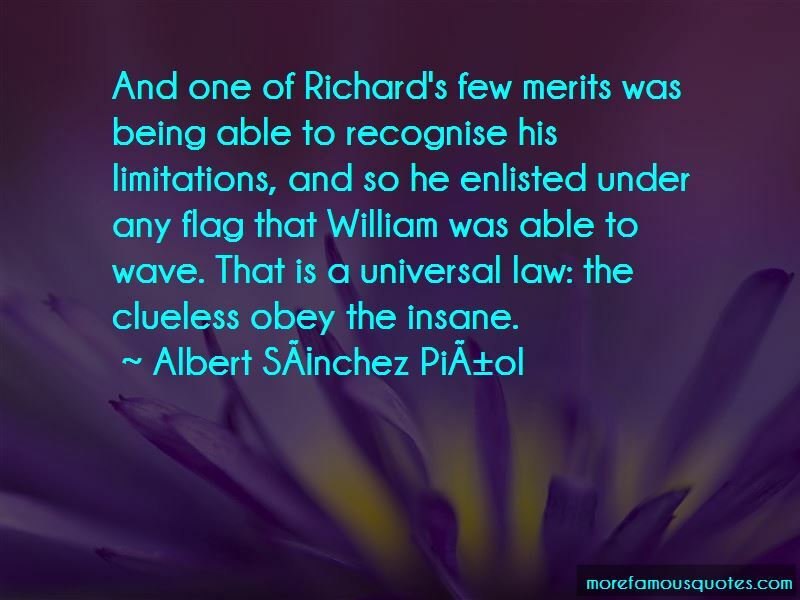 And one of Richard's few merits was being able to recognise his limitations, and so he enlisted under any flag that William was able to wave. That is a universal law: the clueless obey the insane. “It was her, Marie Antoinette, scrutinizing me, satanically silent. Some would say that Marie Antoinette could only express her hate in silence because she was a turtle. To these naive souls I would reply that hate, like laughter, makes less noise the deeper it is. “We sat down and I felt as if we were one of those rich married couples, more separated than united by their dinner table. “A turtle without a shell is a very strange thing. Even with shells, turtles are very strange things, with their miniature elephant's feet, parrot's beak and ludicrous tail. “Love is very difficult to understand. And do you know why? 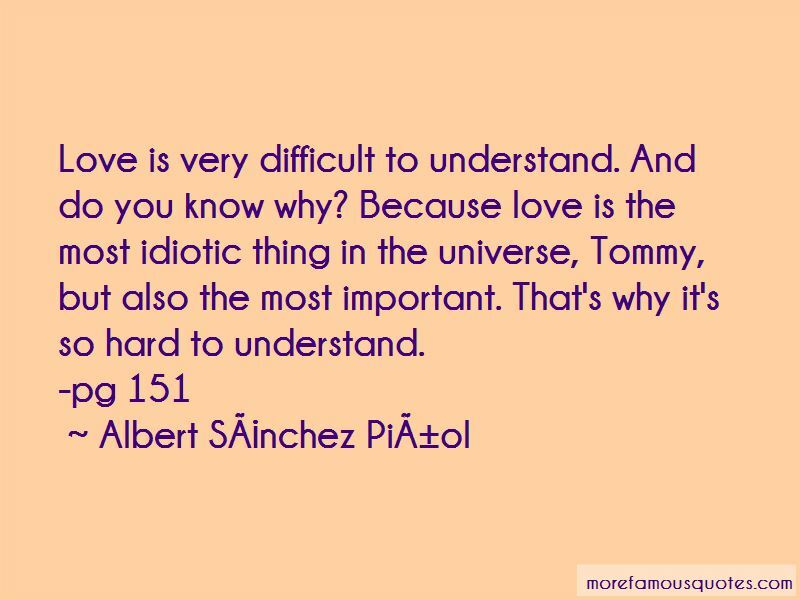 Because love is the most idiotic thing in the universe, Tommy, but also the most important. That's why it's so hard to understand. “Most geniuses are geniuses because of the way they manage their natural talents. He was one because of the way he took advantage of the world's defects. Want to see more pictures of Albert Sanchez Pinol quotes? 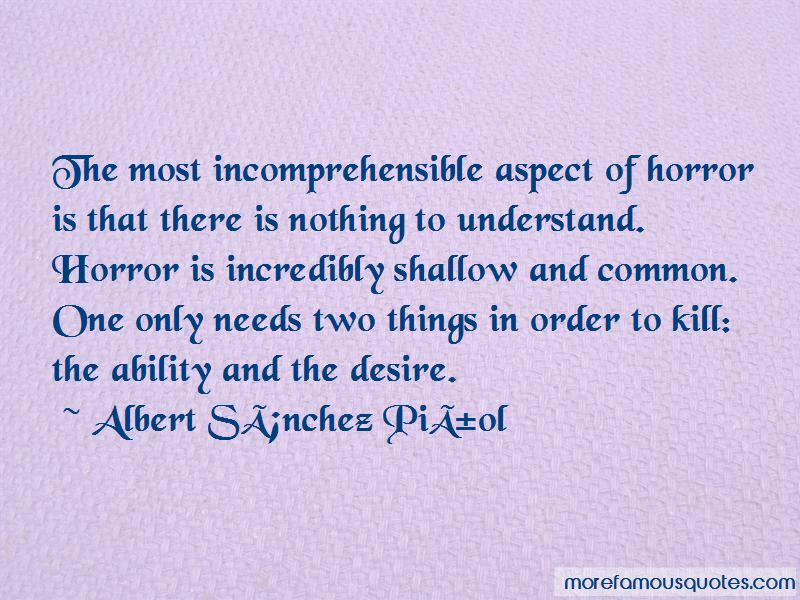 Click on image of Albert Sanchez Pinol quotes to view full size.